Award-winning SweetLeaf Stevia® Sweetener is unique in the marketplace because it’s America’s original stevia-based sweetener. For natural, zero-calorie, zero-carb, zero glycemic index sweetness, look no further. 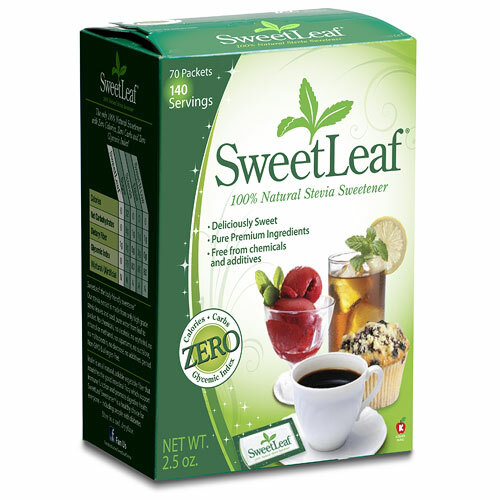 SweetLeaf™ offers a variety of sweet solutions made from stevia, a naturally sweet plant that is much sweeter than sugar. It is also completely calorie-free, all-natural, and has a zero glycemic index. 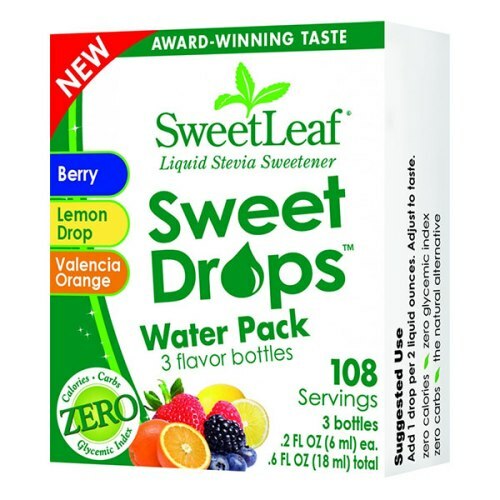 SweetLeaf® Liquid Stevia Sweet Drops™, made with stevia leaf extract and natural flavors, can be added to foods or beverages – from yogurt to oatmeal, water to coffee, sauces to smoothies – for sweet, sugar-free flavor. The drops are available in 17 flavors and come in a convenient dropper bottle. A little Sweet Drops flavor goes a long way, making every bottle an impressive, and tasty, value. We’re glad that the Most Popular Yacon Syrup is Now In Stock! Probiotic Sweetener with Low Glycemic Index! Yacon is a distant relative of the sunflower with edible tubers and leaves. The syrup from this sweet root is raising eyebrows in the medical community and natural product world for its medicinal qualities. It contains fructooligosaccharides (FOS), which pass through the digestive track unmetabolized, providing few calories. The sugars, however, are metabolized by the bifidobacteria in the large intestine and contribute to improved digestions and absorption of vitamins, such as B-complex. The undigested portion of yacon serves as prebiotic-food for ‘friendly’ bacteria. Other benefits of FOS supplementation include increased production of beneficial short-chain fatty acids, such as butyrate, increased absorption of calcium and magnesium and improved elimination of toxic compounds. Preclinical studies indicate an increase in bone density after consumption of FOS. It may help diabetics regulate and normalize glucose levels in the blood due to its FOS content. It is considered hypoglycemic and holds promise as a sweetener for diabetics and others who choose not to consume sugar. This delicious root crop has been grown in the Andes by the Inca and their descendants. Related to sunflowers, Yacon has large succulent roots that have a juicy, watermelon flavor. From this we produce an exceptionally sweet syrup which can be used like honey or maple syrup. You hold in your hands the finest traditional botanical available on earth. This botanical is a long standing favorite in South America where it has been empirically selected for its effectiveness over many generations. Only organically cultivated or sustainably wild harvested plants are collected and shipped to our laboratories.